Today will mark the first day in the office for many after the Christmas break. In previous years, I’ve written posts on the resolutions that you can make to be a better campaigners this year (you can read them here) they’re full of useful advice that I’d stand by, but this year I’ve decided to share the 7 things that I’m going to try to do more of as a campaigner in 2017. 2017 feels like it’s going to be important. 2016 was a difficult year, and on many of the issues I care about their is real jeopardy about the progress we’ve made or could make, so now the Christmas break I’m asking myself what more can I be doing in 2017. We’ve got work to do, so by sharing this I’m doing so for 2 reason – for accountability, in the hope that by writing this it’ll be harder to avoid doing it (please ask me if you see me) and to prompt other to think about what more they plan to do over the next 12 months. 1) Listen more – If I’m taking anything from 2016, it’s that I need to listen more. I’ve been sharing this quote from Sir Craig Oliver with everyone, because I think it’s at the essence of what we so often get wrong in campaigning. So in 2017, I want to find ways to listen more – to understand what those outside my ‘bubble’ are thinking and to actively seek out different perspectives. There is a temptation to rush from listening to suggesting action or solutions – but I’m not sure that’s going to solve the challenges we face. So 2017 is a year of listening – I’d welcome practical suggestions of how best to do that. One colleague suggested that we adopt the political party approach of surveying local resident, or perhaps it’s street stalls on High Streets, but whatever solution I come up with I want to be listening more. 2) Share more – I’m convinced that movement generosity is going to be vital if we want to win more. Movement generosity doesn’t mean that we all have to adopt the same approaches or tactics. 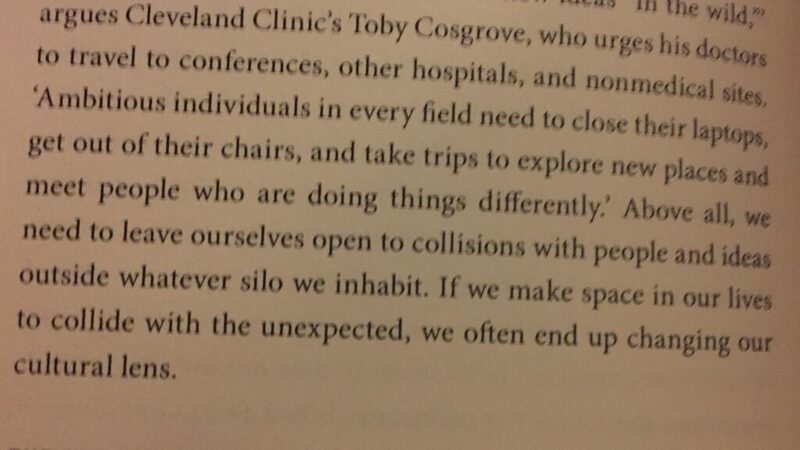 Far from it, we need to recognise that we’re more effective thanks to campaigns taking insider and outsider approaches, but movement generosity for me is about actively asking how can we collaborate together, and taking time to learn and share from each other. So in 2017, I want to share more. That’ll be by continuing to write on this blog (and thanks to everyone who has said encouraging things about the blog this year) and make a point of responding to at least one question a week on the E-Campaigning Forum, but I’m also really keen to get out and share with other campaigners – so if you’d like to invite me to speak to your team, department or conference please get in touch. In return, I want to learn from others who are leading and winning campaigns. 3) Read more – I’ve written before that ‘leaders are reader’, so inspired by this article I’m setting myself a goal of reading a few pages everyday, I want to dive into learning more about the Civil Rights Movement something that has long fascinated me, but also learn more about unsung movement builders from history and . I know that reading isn’t for everyone, some people prefer audio books and podcasts (if that’s you here is a list of some podcasts you might want to subscribe to), but however you take in information, I think the principle of actively seeking out new information is a critical one. 5) Build more – I’m super proud of what Campaign Bootcamp has become since I helped to found it back in 2012 – every few weeks I see a campaign agitating for change and winning from within the Bootcamp community. I believe its a vital part of the campaign infrastructure that we need to ensure we can train, equip and support campaigners to win. I’ve no doubt that those on the ‘other’ side are reenergised and reinvesting in their infrastructure – so in 2017 I want to explore what I else I can contribute to building so that we’re better equipped to win. I’ve no idea what that is yet, get in touch if you’ve got a good idea. 6) Ask more questions – Campaigners always need to be asking questions (some suggestions here)- what does success look like, do we really need to campaign, who can deliver the change we want. We’ve got scare resources to allocate, and I know that those on the opposite side aren’t planning to take it easy in 2017 – read this for a slightly terrifying view on they think needs to be done in 2017. So I’m going to ask more questions, especially the ‘why’ question – ‘why will doing this help achieve the change we’re looking for’, ‘why do we think that’ – it’s a powerful question. 7) Rest more – with so much to do it’d be easy it’d be easy not to giver permission to rest, but as I’ve written before rest is vital if we’re going to be able to sustain this work for year. Rest doesn’t have to mean sitting around, but taking time to step out of our work to do things that recharge and reenergise us. I know for me that means running (I’m a big ParkRun fan) and tackling some new challenge (a Triathlon for me). So that’s more of what I’m going to do in 2017 – do use the comments below to let me know what you’re thinking. Great list, Tom! What will you be doing less of so you can do more of these things? I think that’s one of the big challenges, when many people feel stretched doing what they’re already doing. Good challenge back – less spending hours at the Labour Party + trying to be more intentional about my time.